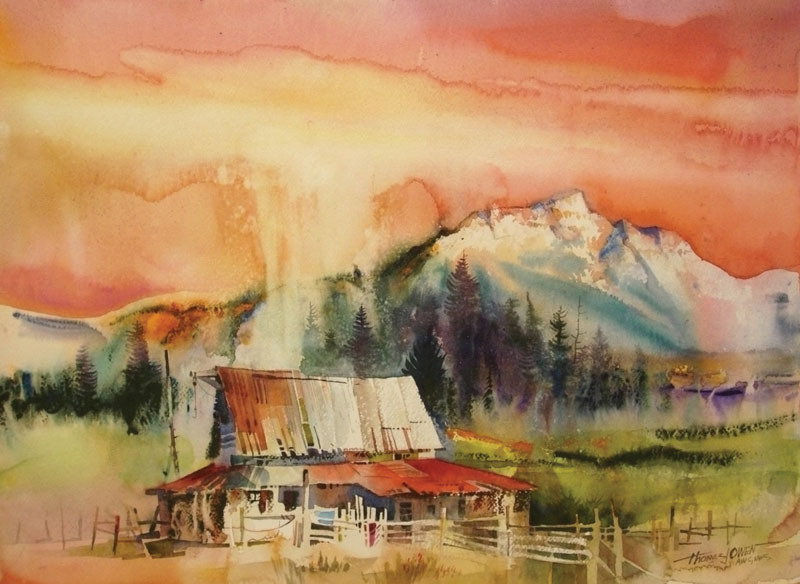 VAIL – A new watercolor collection by painter Tom Owen, “Colorado Summer Skies,” is on display at Cogswell Gallery in Vail. Owen will be in attendance at the gallery Saturday. Owen’s new collection is inspired by the beauty of Colorado and the shades that summer casts in the sky. He says the paintings have the ability to “express the spirit and light of Colorado through the meeting of sky and land with which watercolor lends itself through its fluid approach,” according to Cogswell Gallery. The collection includes pieces featuring Gore Creek in Vail. Owen is a member of the National Watercolor Society as well as the American Watercolor Society and has won 60 awards in national and international exhibitions. A light reception will take place Saturday. Owen will meet attendees as he paints in front of the gallery from 1 to 6 p.m.